A restaurant with rooms in a town that’s famous for its oysters, The Crown and Castle has 21 rooms and suites, and is a stone’s throw from Orford’s famous castle. 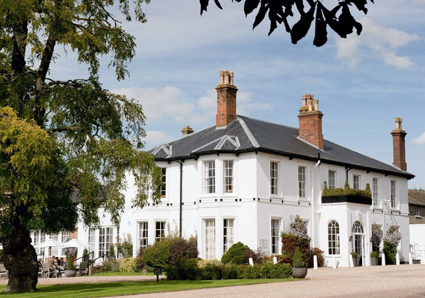 Welcoming children over the age of eight years old, there is a gentility to this charming hotel in Suffolk. Style is contemporary and calm, with muted tones throughout, whilst still being warm, friendly and cosy. 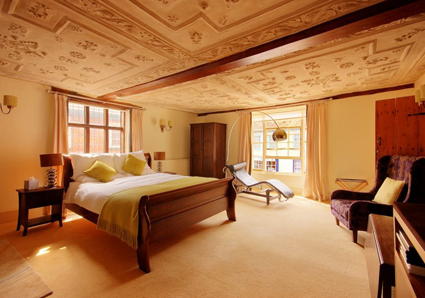 A completely charming and traditional inn, The Crown is a boutique hotel dating back to 1530. Specialising in a luxury approach to food, ale, wine and accommodation, staff are superbly friendly and it’s all surrounded by landscaped gardens and beautiful countryside. Accommodation is in a separate purpose-built block, letting in lots of natural light through French windows leading onto private terraces. Food is a central feature of the whole, especially the grilled half lobster and dressed crab. A 244 year old mill that’s been transformed into a contemporary hotel with rooms, Tuddenham Mill is an award-winning hotel serving super and inventive food. Boutique rooms and suites and gorgeous touches such as two rooms with outdoor hot tubs, home made brioche and raspberry jam aplenty. Those details really are the cherry on top of the whole experience, all of which you can enjoy overlooking the millpond as swans swim by. 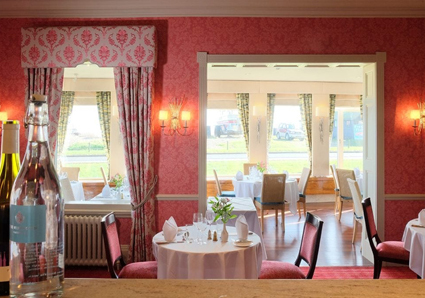 A country house hotel by the sea, The Wentworth has been a family run destination since 1920. In Aldeburgh on the Suffolk coast, it enjoys sea views and has picturesque gardens to unwind in. Standards are kept exceptionally high, and weekends spent here are a joyous fusion of days spent running around on the shingle beach and tucking into local fare including Suffolk sausages and Wentworth fishcakes. 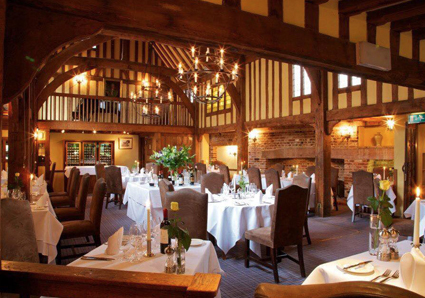 A five star Michelin listed restaurant with rooms with two AA Rosettes, Long Melford Swan sits in the heart of Suffolk close to the birthplace of the artist Thomas Gainsborough. Ambitious interior design is executed flawlessly, with each room enjoying beautiful individual details such as a freestanding copper bath. Naturally, it is a foodie haven, with particular classics including wild boar, potato-black pudding pressé, hen of the woods, Calvados apple. A hotel which really hits all the high notes at every turn, The Swan Hotel and Spa is the best of all worlds. 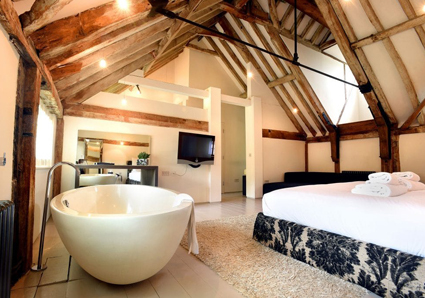 A chocolate box 15th century building with heavy oak beams and medieval features, it has been beautifully styled to suit contemporary holiday expectations. 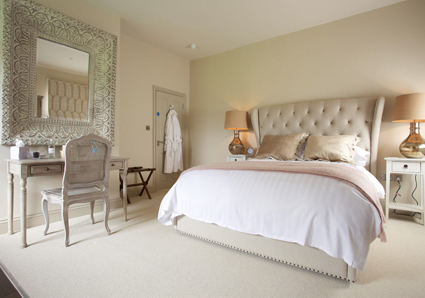 The 45 rooms and suites are expertly finished, and are charmingly named after local villages. Meanwhile, the hotel is home to the more contemporary stylings of the Weavers’ House Spa. Food is a central part of the experience, with options to fit the way you choose to enjoy your break. For example, you can be indulgent in the restaurant, decadent with afternoon tea, or healthy in the spa with a Tea-Tox approach to afternoon tea that includes peanut butter and chia seed energy bites and fresh fruit skewers. A day at the races just became that little bit better. 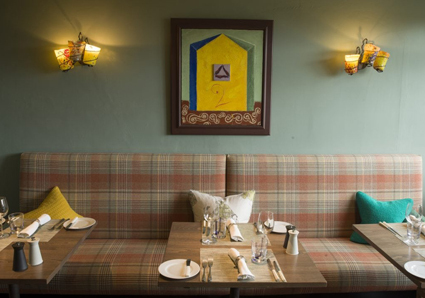 From bountiful breakfasts made from local produce, to five star AA awarded dining, this traditional pub with rooms sits at the heart of the community in Moulton, Newmarket. 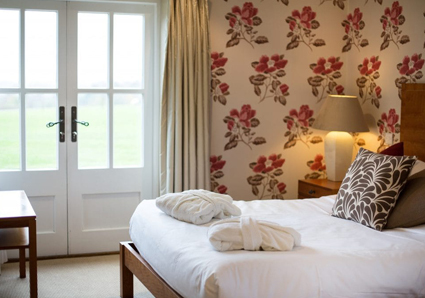 The inn has eight stylish rooms and enjoys a location right next to the famous Newmarket racecourse so you might even find yourself having a pint with a jockey or two. 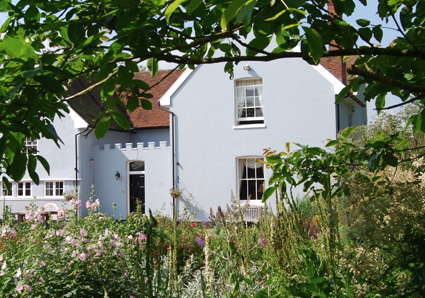 A five star Suffolk bed and breakfast in a restored farmhouse, Bays Farm is just a short hop from Stowmarket and retains the charm and character of its 1640 dairy roots. That said, it offsets its heritage with a more contemporary approach to sumptuous furnishings and an eclectic mix of modern art throughout the property. For those wanting a particularly unique experience, why not stay in the Shepherd’s Hut in the gardens, waking to watch the ducks waddle by and the resident wildlife go about its day. 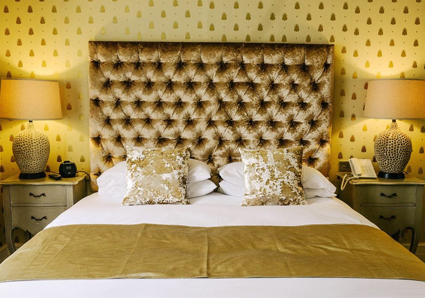 A historic lodge offering luxury accommodation, alongside a contemporary and widely praised spa, Bedford Lodge sits in prime position by Newmarket racecourse, and is a superb Suffolk hotel for a romantic weekend away. A four star destination, it is sumptuous throughout with a fresh feel brought to life by flashes of rich jewel colours. Spend the day in the spectacular modern spa, enjoying the wealth of facilities, then spend the evenings indulging in beautiful food and an elegant environment. A 15th century property in the high street in Southwold, Sutherland House is a charming restaurant with rooms where the food is superb and the welcome is warm. Having won multiple awards and accolades for their black pudding, sausages and mash and hearty pork pies, it is a rich experience for a weekend away. Rooms and suites have been beautifully styled by owners. For example, there is a sleigh bed under a 1660 pargetted ceiling in one, and a six foot, double ended slipper bath in front of a huge historic fireplace in another. Details have been carefully considered and the result is a very personal and very beautiful escape. Each month our readers enjoy articles on places and faces in the area, essential editorial covering food and drink, history, nostalgia, interiors, gardening, motoring and much more. Here is a sample of what you can find every month.